Check out these great companies who give us support to keep us out in competition. 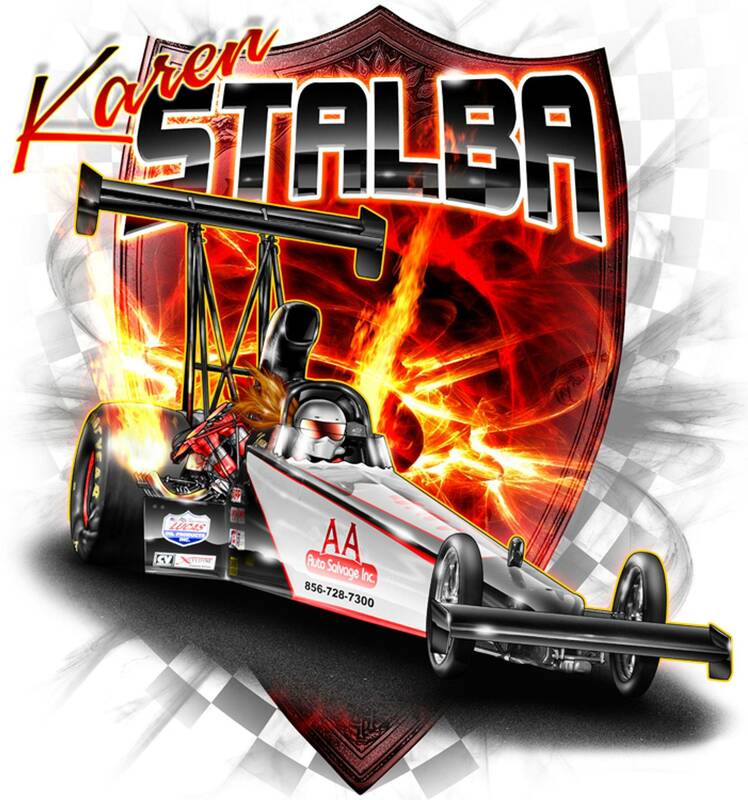 Also read some great articles by our friends in the news media about Karen, Tom and the whole Stalba Motorsports Team! Tommy was featured in an article about the business, A.A. Auto Salvage, Inc. Talks about his shop and some racing, and there's a shot of him with his car and me with my car at the end. Check it out! Gotta support my sponsor! Used and salvage auto parts store. We buy and sell used or junk cars. MX Industrial Supplies Magnaflux equipment and Non-Destructive Testing Equipment. Welcome to Mahle Clevite Aftermarket! Check out our latest product support group to find the right components for your racing application or any automotive needs! Article by Jim Samuel from 2004. Some of the greatest racers and track operators around. Our favorite test location!